A fireplace can give any home a nice cozy feel all through winter and can also give it a romantic effect. But a fireplace that is not well maintained could be an eyesore. And it would be a shame to hide what could be your living room’s best feature. 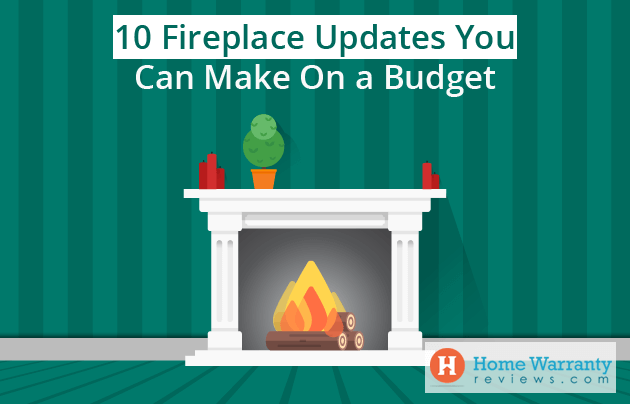 Fortunately, revamping your fireplace to give it a new life need not be an expensive affair. It can be done on a budget. A simple update of your fireplace can turn it from an “oh” to a “woooow” situation. Whether you are desperate to update your unfashionable fireplace and give it a facelift or all you want to do is personalize it a bit, we have ideas for you. 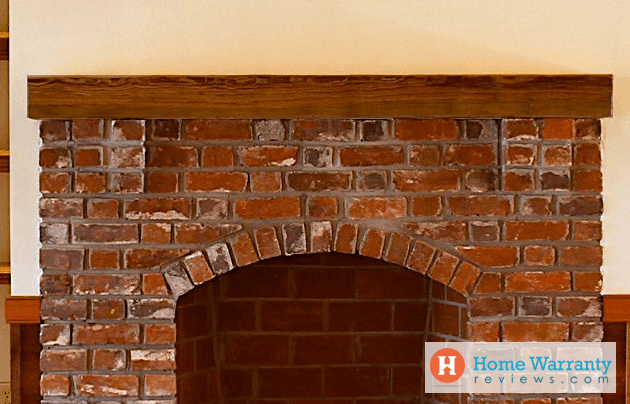 Here are some simple budget-friendly DIY ideas that will transform the look of your fireplace. Revamp your fireplace with these ideas and give your living room a new vibe. But before you start the process, give the hearth a good scrub. The days when reds, oak-colored wall paneling and rustic colors ruled over fireplaces are long gone. Light colors like whites and grays have taken over. Paint your hearth with a shade of these colors or you could probably even whitewash it to give it a new look. If you are the adventurous kind and would like abstract designs, go with a bright orange or turquoise. Use the paint around the fireplace and on the wall above the fireplace as well. But first, make sure that the color goes with the furniture and decor in the room. You can also try your favorite hues. If the hearth at home doesn’t have a mantle, adding one could give the room an aesthetic tinge. 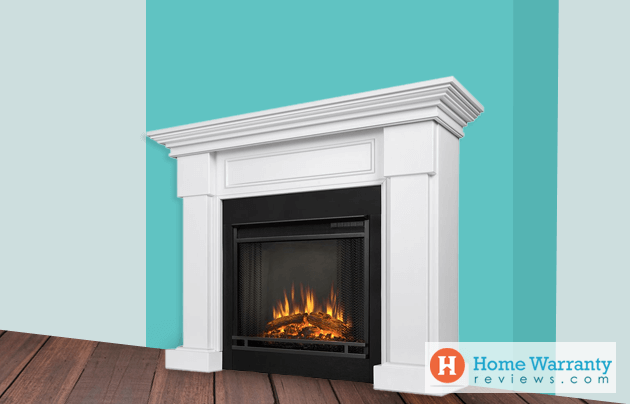 Adding a mantle could cost you approximately $35 and you can fix it on your own. If your mantle is out of shape and damaged, you could consider replacing it. But if the only issue with your existing mantel is a haggard look, a little bit of paint could do the trick! Another really cool look for a fireplace is stone. Let go of the old brick look altogether and upgrade it to a stone fireplace. Stone fireplaces give a cleaner and neater look. It also gives the room a modern look. You could choose between marble, slate, limestone or the most popularly used cast stone. If you like the design of the screen but have lost your liking for the way it looks, change its color! Repaint it with a new color of high-heat resistant paint. You can also update the screen if you want to give it a new look. When it comes to the doors, over the years the brass look could have lost its charm. With all the modern touch-ups that your home has got, it might be time to update the doors. You can use a black high-heat spray paint to change the color. You can buy the paint online or from a hardware store. Ps. you’ll have to work on these updates outdoors to avoid accentuating your living room with paint stains. Your fireplace doesn’t have to look like every other fireplace. You can add accessories that define your tastes. A large mirror placed on the wall above the mantel could sure make a statement or even hanging pictures of your family could add on to the charm of the fireplace. Here are some DIY wall art ideas that could make your fireplace stand out. The best part about accessorizing is that the change doesn’t need to be permanent. It can be reversed or changed in case you don’t like it or get bored of it sometime soon. 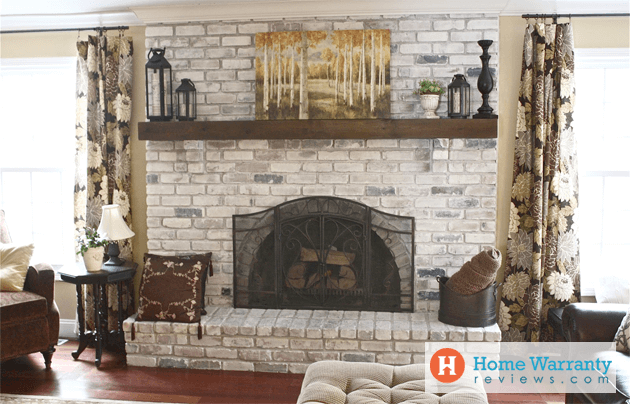 If you have a brick fireplace and are not satisfied with any of the ideas so far, it might be time for you to consider whitewash. Here’s what you got to do, use white paint with an eggshell finish and then wipe it down with rags to remove most of the paint. This dilutes the rustic look without compromising on the design of the fireplace. Change the style of the fireplace. Place a lovely runner on the mantle to compliment the wall behind. Maybe hang a painting above the mantel or place an artsy vase and put fresh-cut flowers in it. The trick is to make the hearth steal the show even when the fire’s not lit. Create a new look for the mantle-shelf by covering it with pine boards. In a living room that has subtle tones, a pine wood finish mantle shelf could steal the show and become the room’s new center of attraction. This is a mid-range budget idea. Tile the wall around the fireplace with ones that have artsy patterns printed on them. If you want to give the place a vibrant or funky look, you could go in for Mexican tiles. Another option would be to give it a marble look. If you already have an old tiled fireplace that has lost its charm, you can give it a quick makeover with some marble-look adhesive paper. Cut the paper into squares and stick it over the tiles to give it a clean new look. Instead of a plain wall at the back of the fireplace, give it an animated look with an engaging backdrop. 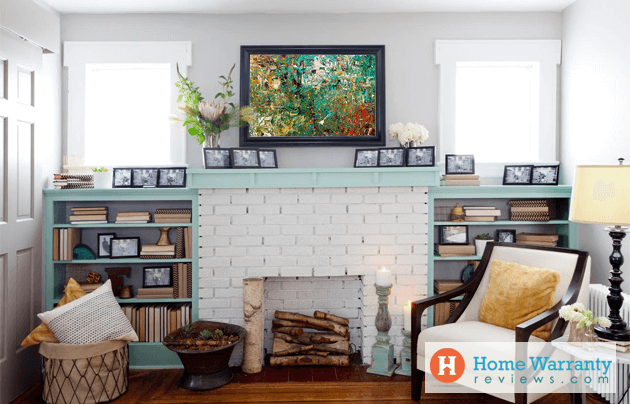 Paint an engrossing scene on the wall around and above the fireplace. Paint a few logs of wood where the fire burns. 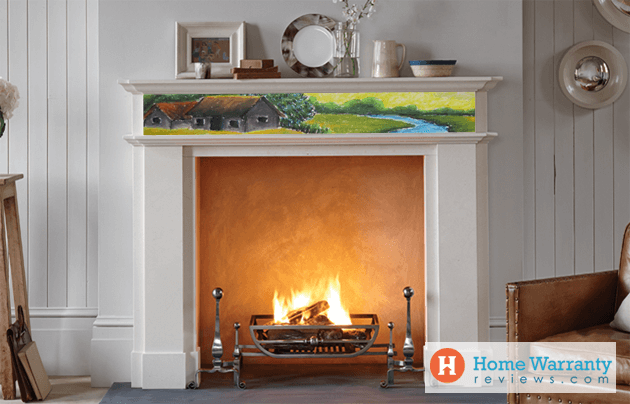 Acrylic paint can be used to transform the fireplace into a captivating piece of art. How Can a Home Warranty Benefit Your Home? While we’re still talking about enhancing the looks of your home keeping a budget in mind, let me tell you this. The average American spends 2% of the cost of their home on the upkeep or home maintenance every year. That means that cost of maintenance of your $250,000 home could be close to $2,500 just for one year. The price of most home warranty policies across the nation range from $300-500+ for a home annually. 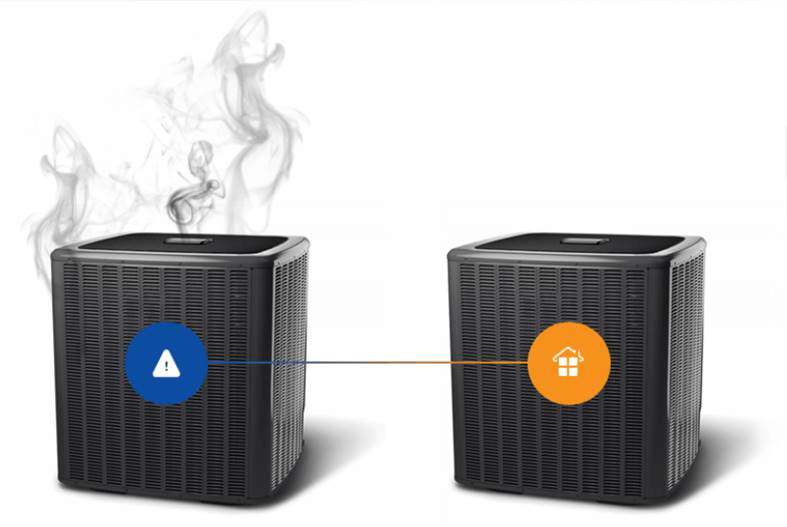 A home warranty policy covers the cost of repairs and replacement of a list of covered home systems and appliances that are caused due to regular wear and tear. Investing in a home warranty policy can help you as a homeowner protect your budget all year round. However, as great as any good deal sounds, there are a few things that you need to be aware of before investing in a home warranty policy. Another huge factor that needs to be taken into consideration is before buying a home warranty is the home warranty service provider. 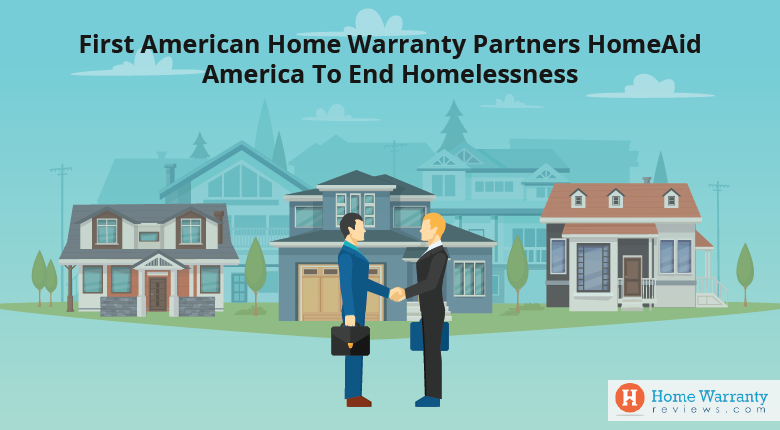 Choosing the right home warranty company makes all the difference, Hence, it is extremely important to research about the different home warranty companies that provide service in your ZIP code and read their reviews. HomeWarrantyReviews.com is a platform where home warranty users can come and research about home warranty companies and home warranty policies. 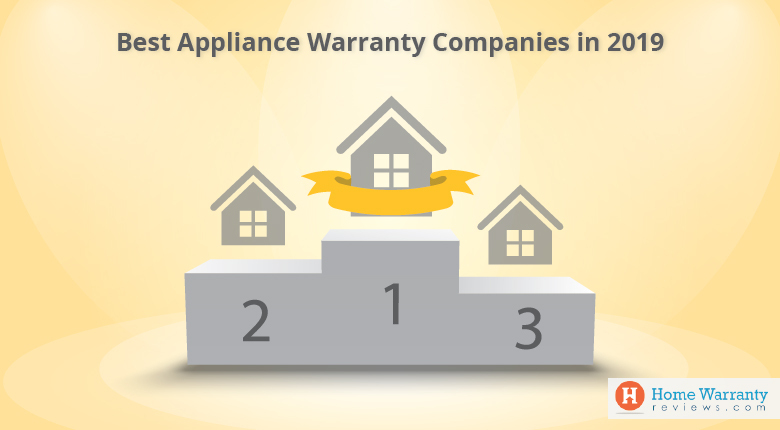 The site publishes a list of the top ten home warranty companies nationwide every year. Make sure to take a look at this list and read reviews about the companies before you finalize on one. You can also get a free home warranty quote from the company by providing your ZIP code and the email ID on which you’d like to receive the quote. 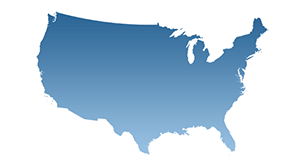 Find out the top home warranty service providers for your state by clicking on your state’s name in the link. If you aren’t sure whether your home requires a home warranty coverage, you can use the home maintenance calculator to help you make your decision. The home maintenance calculator estimates the approximate cost of repairs for your home for a year by collecting information about the age of your home, the age of your appliances and a few other details. If you’ve tried any of these ideas, do let us know how the patterns turned out and what challenges you faced (if any).